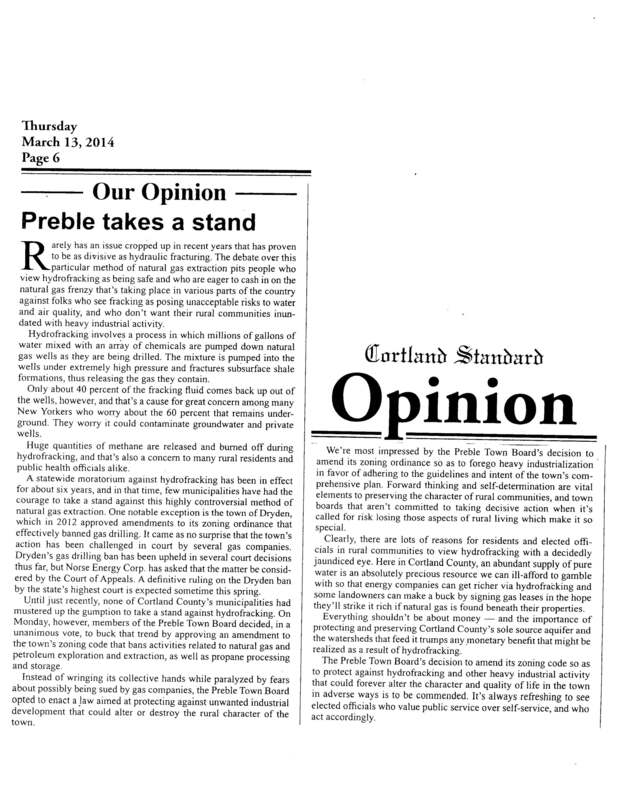 A model for other Cortland Co. towns? There are actually over 200 NY towns/cities/counties that have imposed bans or moratoria on various aspects of fossil fuel extraction, production, transportation and infrastructure. 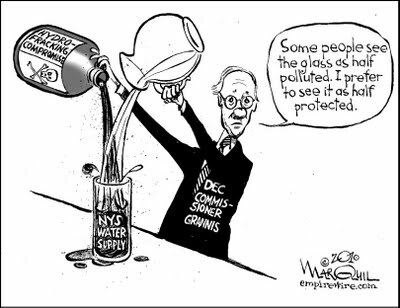 Except for very specific bans on selling municipal water and processing fracking waste at the Cortland’s municipal treatment plant, this is the first ban in Cortland County and one of the most comprehensive state-wide. This ban is based on the town’s comprehensive plan and on a revision of the zoning code, local and external legal and technical consultation and extensive official and citizen participation. 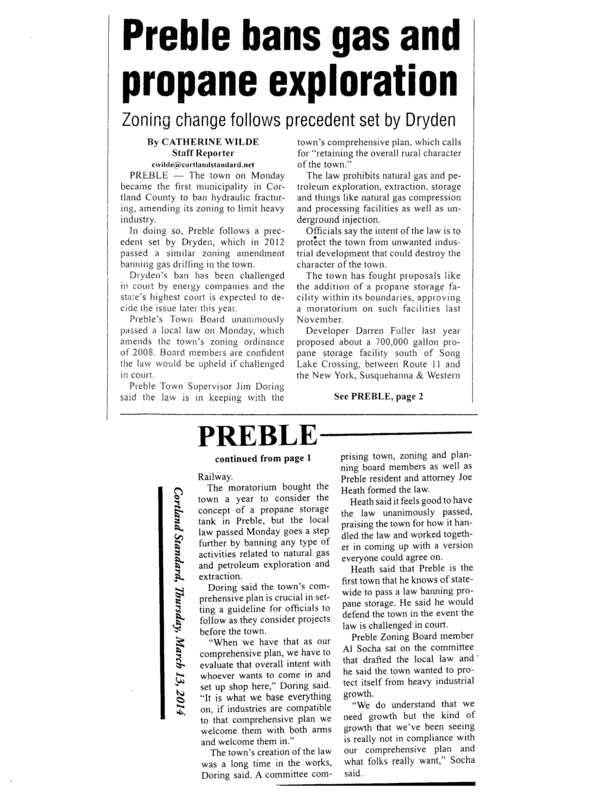 Preble’s ban recognizes that the threats to its agricultural and rural character extend far beyond the drilling of gas wells because explosive fossil fuels require massive industrialization–pipelines, storage facilities, surface transportation by trucks and rail, compressors, etc. 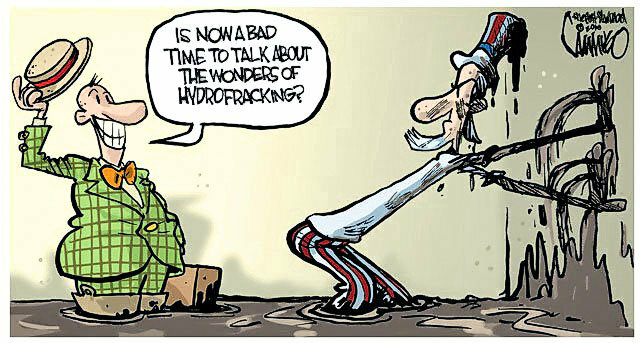 Even if the NY hydrofracking ban remains in place, the fossil fuel infrastructure will continue to expand. Concerns go beyond “worry” about water contamination, explosions, health dangers, economic boom and bust and destruction of existing economies. Research from PA, CO, TX and other heavily industrialized fossil fuel production areas is providing proof that these impacts are real and significant. This week’s fatal gas main explosion in New York City reminds us that continuing to rely on fossil fuels and our aging infrastructure is a dead end. 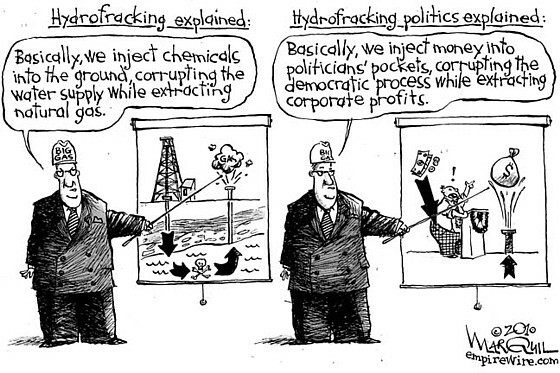 ▶ An Aerial View of Hydraulic Fracking Along The Marcellus Shale – YouTube.